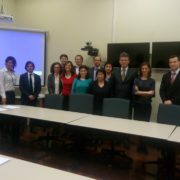 DevStat has organized a study visit to Statistics Portugal (INE PT) and the Portuguese Agency for Development and Cohesion (AD&C) for delegates of the National Bureau of Statistics, the Ministry for Regional Development and Constructions and the Ministry of Economy of the Republic of Moldova.The visit is taking place between 22-24 February, in the frame of the EuropeAid technical assistance project on “Improved Regional Statistics in the Republic of Moldova”, organized by Florabela Carausu, DevStat expert in local development and statistics. The working sessions cover issues such as: principles and criteria for planning and implementation of the structural funds, national and international spatial analysis units to support territorial analysis, and interplay between regional and local policies and statistical indicators. The visit is benefiting also of DevStat’s experience in the production of territorial statistics and the use of statistics as support to decision-making at various geographical levels. 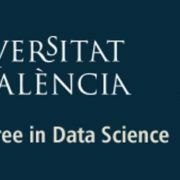 DevStat, within the line of research driven as a pillar for its growth in Big Data, Business Intelligence, Customer Experience and Business Analytics, is one of the entities collaborating with the University of Valencia in the University Master in Data Science. The objective of this Master is to train professionals in these areas to acquire a solid background in quantitative techniques and computational methods and to perform advanced data analysis. DevStat hopes to be able to welcome these professionals into its team in the near future.